Offset printing continues to be the standby for long run forms not requiring elaborate color schemes. 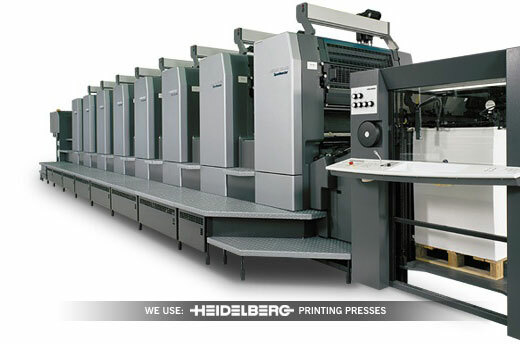 The quality of offset printing has long been the standard to which all printing is compared. Artcraft Press was founded on offset printing and continues to utilize metal printing plates to insure maximum resolution and clarity. While many printers have opted to use polyester printing plates, we strongly believe it is more important to offer quality products to our customers. We boast numerous offset presses with a maximum print size of 20” x 26”. Colors range from 1-color to 4-colors with printing on 1-side or 2-sides. Typically, the choice of printing papers are more abundant for offset printing allowing for a wider range of finished products. Complimented by a full finishing department, offset printing is an optimal choice for sheet fed forms, continuous forms, multi-part forms, hang tags, law labels, catalogs, price books and virtually anything else in quantity.